So I have awesome news. After 8 years of driving old cars from the 80’s and getting into an accident with my car from the early 90’s, it was about time I buy myself a brand new car. 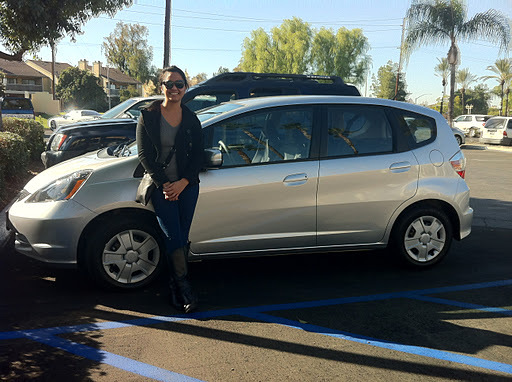 The Joan-mobile, as I call it, is a 2012 Honda Fit Manual transmission! I’m very excited about my new car and look forward to my new adventures driving it. 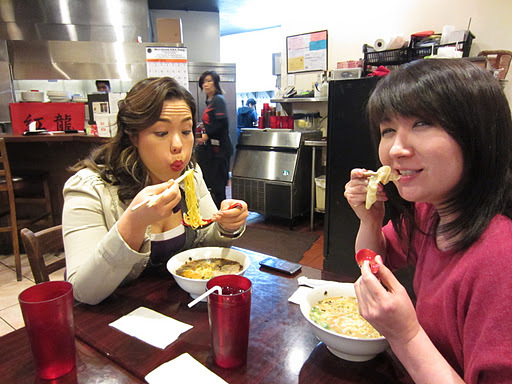 The last time Tanya and I went on a ramen run together was back in November. 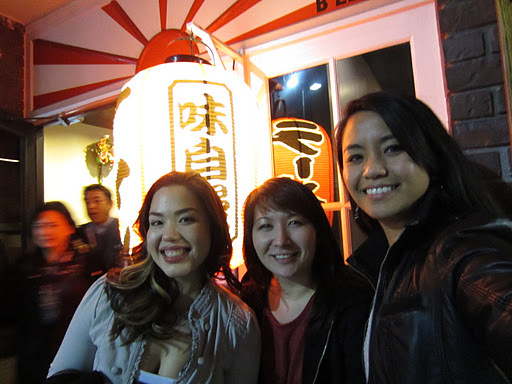 We’ve been so busy with our lives, and especially the holidays, that we really couldn’t find time to get ramen together. 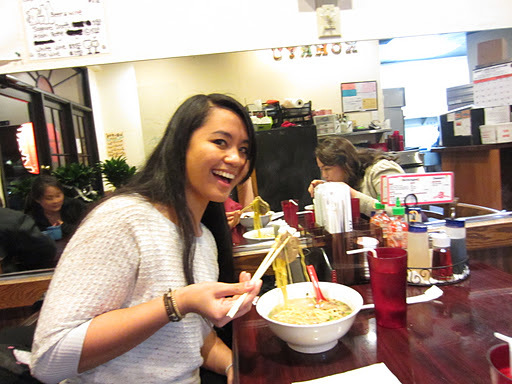 We manage to have ramen runs on our own or with other people though. 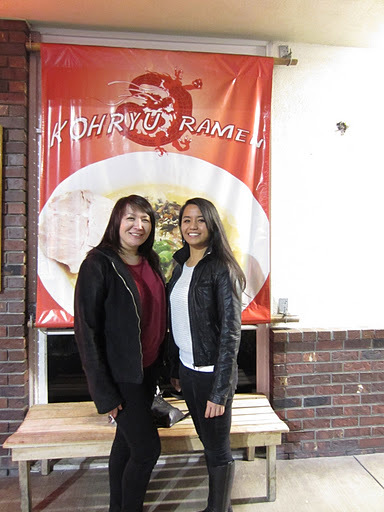 Last week, we finally got around to having a ramen run together, along with Tanya’s friend, Jennifer. 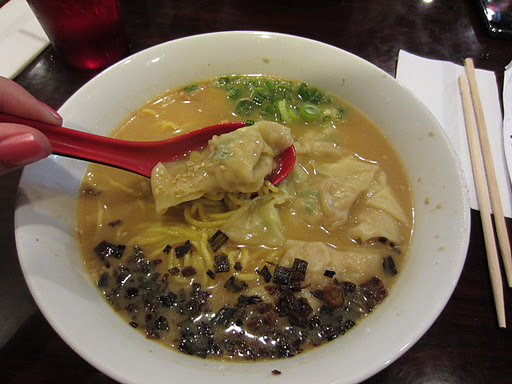 Our next target ramen region is currently Costa Mesa. This city is about an hour or so away from home, close to the beach! 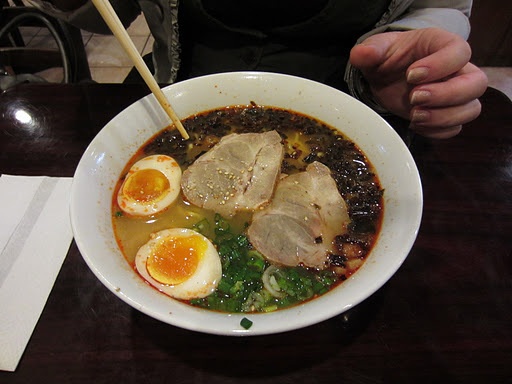 I’ve been researching ramen houses in Costa Mesa and they seem to have an abundance of ramen shops there with good reviews. 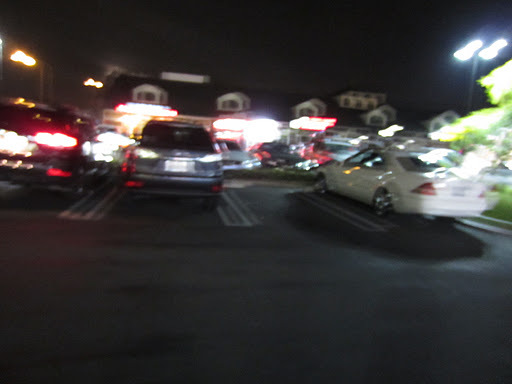 (if you recall my Drummer Held Hostage blog, it was also in Costa Mesa). 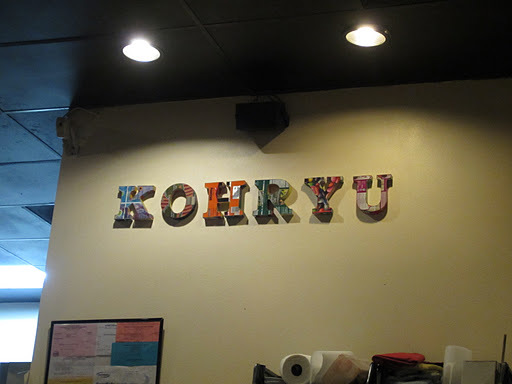 I found another place called Kohryu, which was just across the street from the last place I went to, Mentatsu. 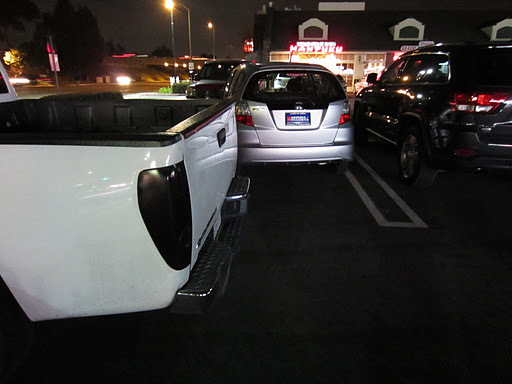 … and a minute after we parked, this happened. Of course. We got there, signed our names on the clipboard, and were seated right away by a mean looking dragon lady. 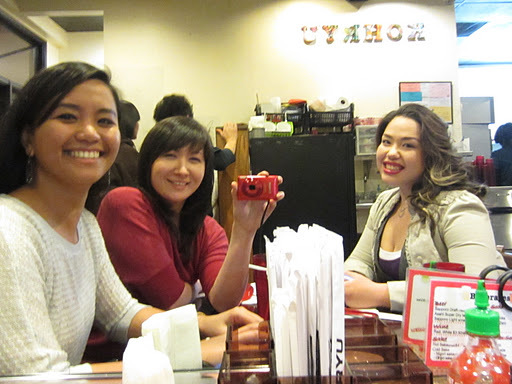 Our table was right next to a wall of mirrors, which made us look awkward as we took a photo. It was quite a drive and the plaza seemed a little awkward to get into but I liked the way the place looked. There was art work pretty much everywhere. Even in the bathroom. 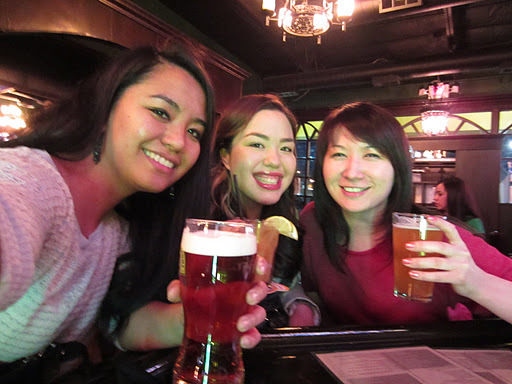 The place had a nice environment. There were two servers and they both looked so mean! 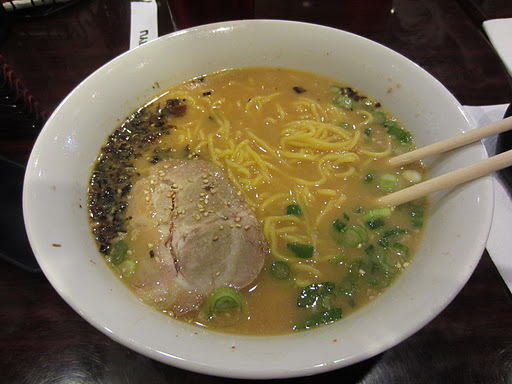 But they were really nice, polite, and prompt with service. Group photo in front of a mirror. It took us a moment to make our orders. They had so much in their menu! I should have taken a photo of it. The wait for our food wasn’t that long, maybe about 10 minutes.